After the popularity of My Facebook Pet Peeves post, which was published way back in summer 2014, I decided to write another post related to my social media pet peeves. 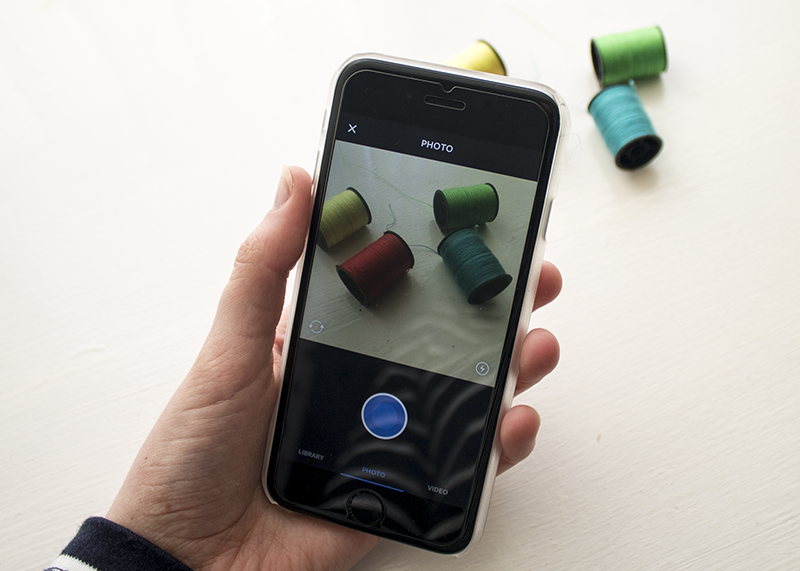 This time around I’ve chosen to talk about Instagram. The reason for this is because as I’m spending more time on the platform for my 365 Challenge and I’m noticing more and more things that bug me. Please remember, these are just my pet peeves and my opinions. You may or may not agree, but of course, let me know your thoughts in the comments. I don’t know about you but I feel like Instagram should really be for showing off photos that you have taken yourself. You are kind of cheating the system if you use other people’s photos. And to be honest, I un-follow account that post a lot of photos that aren’t their own because the reason why I follow people in their first place is because I like their photography. …and then either not crediting, or crediting incorrectly. The only thing I dislike more than people sharing photos that aren’t their own is people who don’t bother to give credit the person who actually took the photo or the website where they found it. There are also people who don’t know how to give credit correctly. Time and time again I am seeing people using a photo they found on Tumblr and just adding in the description “Photo from @tumblr”, instead of linking to the actual Tumblr site that they found it on. I find that is is too generic. This is like someone using a photo from your blog and just giving credit to WordPress or Blogger. If this happened to be I’d go mad! I love a good hashtag or two, and I don’t even try to hide it from my followers, but I know a lot of people do. Before you could edit your photo description on Instagram people use to add a comments to their own images filled with hashtags. That way, when the photo gained enough popularity and likes they could then delete the comment containing the hastags in order to hide the fact they used them in the first place. Now I’m starting to see a new method of hiding hashtags; leaving 4 or 5 blank lines (usually starting with a full stop) followed by a list of hashtags. Sometimes it is done within the image description itself, and sometimes it is done within a comment. Why? Because if you’re description is too long then Instagram will cut it short and add a “more” link. This means the hashtags get hidden. Themes are a bit like Marmite; you either love them or hate them, and personally I’m just not a fan (of themes or Marmite). Most people just see your photos in their feed rather than on your profile page in the grid format, so what’s the point? I really like to see variety and I much prefer to see photos of real life. I know Instagram is frequently referred to as being “fake” but still. Just because everyone else is doing it doesn’t mean you have to. Sometimes I see people share a photo that I know for a fact they shared just a couple of weeks ago. And then I pop on to their profile and there it is being used again. I don’t get the point in this. What, did you not get enough likes the first time around? Again, re-sharing old photos makes me want to un-follow users. Do you use Instagram? If so, do you have any Instagram pet peeves? Hahahahaha I got such a good laugh out of this post because I agreed with most of it. The hashtag thing annoys me too but I have done it myself because I spam my photos with hashtags to try and get more likes. I don’t really try to hide it, I just press the return key two times so it is at least ‘separated’ from the hashtags. I did not know people just deleted them afterwards! That makes no sense. I just leave mine there. Another thing to add to re-sharing old photos is people who delete their photos for really silly reasons. That really bugs me. They get a lot of followers then they clean everything and ‘start over’ and write captions like ‘just gonna delete this later anyway’. They usually have a lot of followers and I think they try to make it look like they got heaps of followers with so few photos. I have deleted photos myself, but only because they were a bit embarrassing or I didn’t like them (usually old photos *blushing*). Another thing that bugs me massively is those ‘flat lays’ (which I wrote a satirical blog post about some time ago) where people spend hours just laying out all their clothes, tech gadgets, etc. and then take some artistic picture of it. I’m pretty sick of them. You usually can’t see the details of what is in the picture and the reality is that it just looks pretty from a glance. I can’t believe people spend their time arranging things that meticulously for a photo. It just takes up too much time. I also hate when people tag me in a photo that does not actually have my face on it. I think it’s like Facebook really. You just tag friends who might be interested. But I hate seeing when ‘Photos of You’ under your profile is filled with random BS you were tagged in. Oh and along the lines of people not sharing original photos, I don’t like those people who just post quotes and text. Urrrgghhh that is not what Instagram is for! I meant ‘separated from the caption’ haha. I have some of the same pet peeves. I really don’t like it when people post other people’s photos or artwork and don’t make an effort to credit properly. I’ve seen things like “found on Google” or “belongs to the artist”, both of which are lazy and aren’t proper credits at all. Even if they did credit properly, they probably didn’t get permission to repost the work either. Oh I love pet peeves posts, LOL! Probably because I’m so annoyed by many things in social media myself. I do use Instagram as you know, and since I post tons of cat photos I suppose I shouldn’t mention dog photos as a pet peeve, but seriously there’s nothing that bores me as much as dog photos. Even more annoying is when people use dozens of hashtags. Seriously, they just seem so desperate! 1-3 hashtags are fine but more are just… annoying and make everything look cluttered. I like a clean look in my feed. When people use Instagram to make money and they do sponsored posts which is just ridiculous to me. I actually unfollowed my own cousin because of this. Same thing with using Instagram to promote blog posts or products. If I’m interested in blog posts, I go to some blog directory, or to a web shop to look for certain products. I’m totally with you about posting other people’s pictures. There’s been a trend of posting quotes, which I find so uninteresting, because I, well, kind of use Instagram because I like to look at other people’s photos. The biggest pet peeve of all is that they will start displaying the feed according to what is popular or what Instagram thinks you will find interesting – when they do that I’ll stop using it. Gosh, Instagram themes do drive me mad. They seem so….false. I know people pick and chose what goes on social media anyway, but themes take away any personality that the account has. If I wanted to see overexposed pictures of make up products, I would follow the brand’s account! Hashtags don’t really bother me, but yes, reposting is frustrating. I’ve fell out of love with Instagram at the moment, but not really for any reason other than I’m a bit lazy…. I agree with you. I had no idea people are deleting hashtags, what is the point in that. But seeing the same picture again after 1-2 weeks is annoying. I don’t like when people are posting things they did 1-2 years ago. For me, Instagram should be about the things that happen now. Only once I posted an 2 days old picture because I wanted to include it 365 roundups I’m making. I’m like hashtag queen 🙁 I’m so guilty of a lot of things, but I do try to credit where credit is due or some pictures I can find. Anyhow, I don’t like the spam about having and gaining followers and that sort of crap. It’s annoying and doesn’t add to anything. Sorry, I haven’t commented here in awhile.